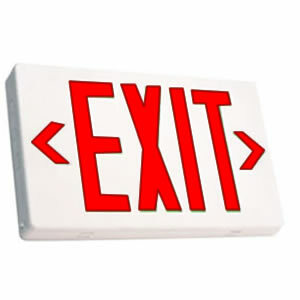 Barton George, one of the best-known open source evangelists at Sun Microsystems, has left the company. He sent a note to a group of sources -- including The VAR Guy -- on Sept. 5 indicating that he's joining a cloud-based computing company in Austin, Texas. Kudos to George, but The VAR Guy has to wonder: Are things growing worse at Sun? Barton George, one of the best-known open source evangelists at Sun Microsystems, has left the company. He sent a note to a group of sources — including The VAR Guy — on Sept. 5 indicating that he’s joining a cloud-based computing company in Austin, Texas. Kudos to George, but The VAR Guy has to wonder: Are things growing worse at Sun? Hey, when great opportunities come along you’ve got to grab them. But The VAR Guy has mixed emotions about George’s move. He was, after all, a true open source evangelist within Sun. And he was one of the key people who could describe why Ubuntu Linux was such a promising platform for Sun’s future success. Ironically, George left Sun the same day that MySQL co-founder Michael “Monty” Widenius resigned from Sun. Ouch. People come and go all the time at high-tech companies — especially companies that are in transition. And Sun certainly fits that description. Based on Sun’s poor financial results, there were rumors back in July that Sun CEO Jonathan Schwartz was on thin ice with the company. But so far, it seems to be other talent heading for the door. For those looking to track down George, he plans to launch a personal blog at http://barton808.wordpress.com. I don’t understand your obsession with Ubuntu and in recent days with Novell while leaving out other leaders like IBM and Red Hat. What about Novell? Novell isn’t a Linux company, it’s a Microsoft division that peddles Linux in order to seed confusion and entanglement within the marketplace. why dont you try opensuse / sled (novel)? i dont mean load it on your old laptop and see if sound and wifi work, i mean really try. integrate it into your domain to replace windows servers and/or make a workstation to replace vista/xp. if you see how well everything works out the box, you will understand. red-hat has a good marketing department, thats about it. nothing special about redhat. overrated. @Neo: The VAR Guy visited Novell last week, and also stopped into Canonical’s offices along the way. So, he’s a bit obsessed with both companies in recent days. OK idiot, MONTY HASN’T LEFT SUN!!! You’re referencing a CNET article, which references a gossip columnist, and claiming it as fact. Why should anyone listen to you if you can’t get this simple fact straight? @Colin: No need to scream IDIOT at The VAR Guy. Lower case would have been fine. OK so the Sun isn’t going to turn into a super nova? Is Monty an OS evangelist because of Python? And who really cares about cloud computing in the first place?